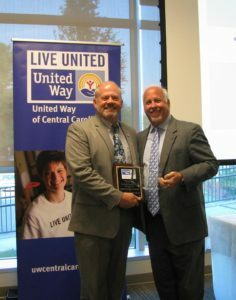 In addition to its Largest Campaign Award, and along with many of its schools earning individual awards, Unio n County Public Schools and Superintendent Dr. Andrew Houlihan were recognized for the new “Books and Brackets” challenge in conjunction with United Way that resulted in 3,000 3rd graders reading 26 million minutes’ worth of books in March. 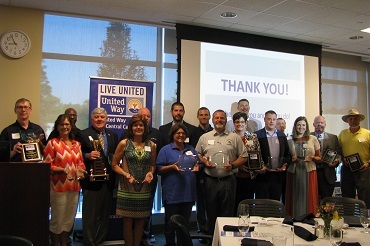 United Way also honored 2016 Board Chair Cindy Coto of Union County, 2016 Community Investment Chair Chad Griffin of Charlotte Pipe & Foundry, 2016 Campaign Chair Phil Williams, and 2016 Day of Caring Chair Dr. Tom Bulla of Union County Public Schools for their critical leadership. 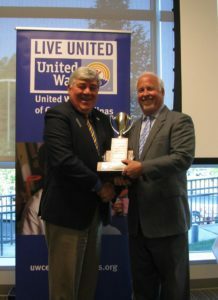 The event was hosted and sponsored by Carolinas HealthCare System Union.